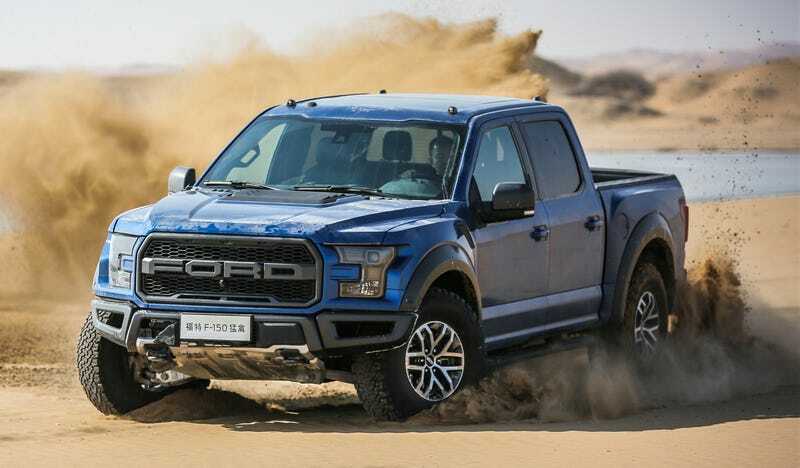 Ford’s Raptor is an incredible truck for certain limited tasks, like driving really fast across sand and stuff. It’s big fun when traction gets limited, and it’s big and burly and rides kinda nice when there are roads. Ford needed a halo truck model that does the same for regular F150 buyers as the Ford GT does for Ecoboost Mustang buyers. And it worked. Logic would dictate that more Raptors, like the upcoming Ranger Raptor, are good ideas. And by extension that means we need Raptor versions of everything. Anything worth doing is worth doing to excess. I like where Margin Of Error is headed with this. If the Porsche folks can “Safari” everything, then maybe Ford lovers can “Raptor” everything. Now if you’ll excuse me, I’m going to go look for a four-door Maverick that I can shove a 351 and a set of BFG KM3 tires into. Congratulations MOE on your COTD victory. May you one day get the Raptor future you dream of.